On Sale Now! 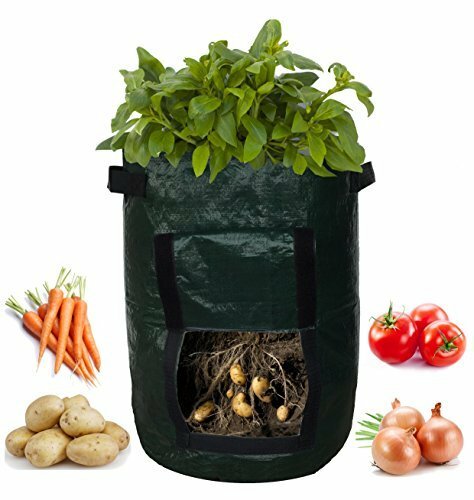 Save 10% on the Garden Planter Bag (2-pack) – Grow Vegetables: Potato, Carrot, Tomato, & Onion - Plant Tub with Access Flap for Harvesting - Eco-Friendly - Heavy Duty & Durable Bags by Backyard Accessories at Tulips Orchids. MPN: 4316310534. Hurry! Limited time offer. Offer valid only while supplies last. If you have any questions about this product by Backyard Accessories, contact us by completing and submitting the form below. If you are looking for a specif part number, please include it with your message.